West side of Park Road just south of the corner with Park Road. Teddington No 2. Cost defrayed by local subscriptions per Mrs Braby £108.0.0. The fountain is very close to this cattle trough. 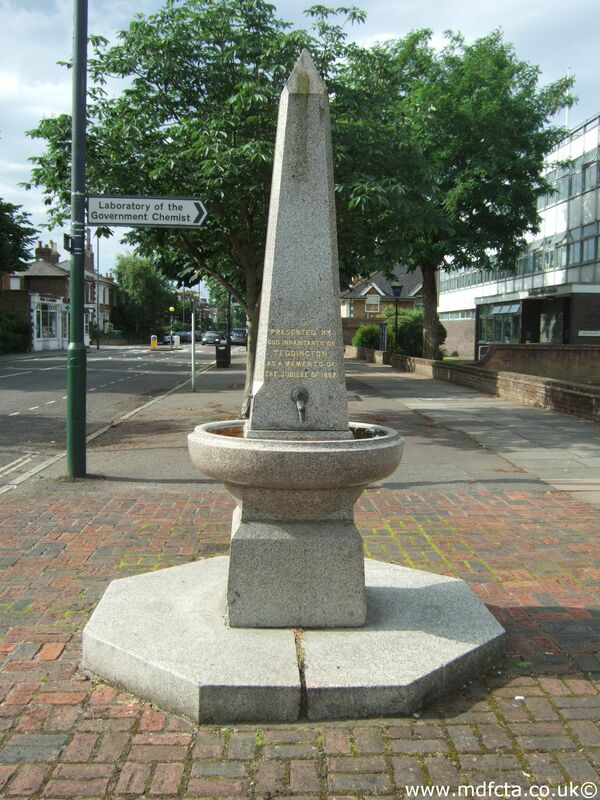 This is one of several Design-29 drinking fountains.